German authorities said Tuesday they were conducting searches countrywide in connection with 10 suspected Iranian spies, with one report saying that the suspects were members of an elite military force that had been watching Israeli and Jewish targets. The weekly German-language magazine FOCUS reported that arrest warrants for the suspects listed them as being members of the al-Quds force, which is part of the Iranian Revolutionary Guards Corps and is considered a terrorist organization by the United States. The alleged spies had been monitoring Israeli and Jewish targets, the report said. Authorities searched premises linked to the suspected Iranian spies following an extensive investigation by the country’s domestic intelligence agency, prosecutors said. The spokesman, Stefan Biehl, told The Associated Press that raids were prompted by a tip from Germany’s domestic intelligence service. He declined to comment on the FOCUS report that the suspects were spying on Israelis and Jews. 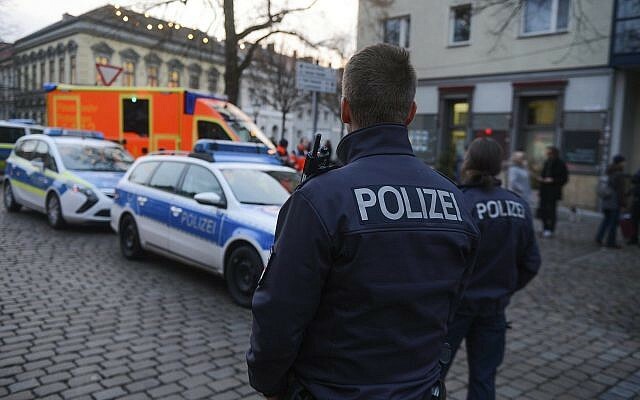 FOCUS reported that the searches — including by police special forces — were carried out in Berlin, Baden-Württemberg, Bavaria and North Rhine-Westphalia. Germany’s Interior Ministry referred questions about the raids to federal prosecutors. Last month, the German government protested to the Iranian ambassador following the conviction of an Iranian agent for spying. The Pakistani man was convicted in Berlin last year of espionage and sentenced to more than four years in prison. His targets included Reinhold Robbe, who headed the German-Israeli Association. A Quds Force-affiliated agent pleaded guilty in 2012 to plotting to assassinate the Saudi ambassador to Washington, DC. In 1992 three Iranian-Kurdish opposition leaders and their translator were shot dead at a Greek restaurant in Berlin. The shooting was believed to have been ordered and carried out by Iran. Two Iranian men and a Lebanese citizens were found guilty of the crime and sentenced to life in prison. Two of them were later released from prison in 2007. The same year a series of explosions in Bankgok, Thailand, injured five people in what Thai authorities said was a failed attempt to target Israeli diplomats. Two Iranians were arrested and convicted over the bombings, including one who lost his legs when a grenade he threw at pursuing police bounced back at him. Arrest warrants were issued for several other Iranian nationals, some of whom were believed to have escaped to Iran.